The expansion of Interstate 35 through Duluth was planned as early as 1958, although the project wasn’t completed until the 1990s. The plans changed many times over the years, and portions of it were highly controversial, none more than the section that would cut through downtown Duluth and stretch to Twenty-Sixth Avenue East. Because of public outcry—including lawsuits—the demolition of historic buildings between The Pickwick and the Hartley Building (including Fitger’s Brewery) was prevented by changing the plans to include a tunnel. The final look included four tunnels and spared much of Leif Erikson Park. 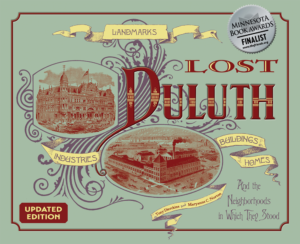 The 1912 Duluth Curling Club was saved, only to be lost to a suspicious fire. Still, many buildings were lost, including all those along the lower side of Michigan Street from First Avenue West to First Avenue East, which included old wholesale food warehouses, the Metropole Hotel, a plumbing supply company, the former home of Arco Coffee, a sheet metal works, an old feed barn, other storage facilities, and Zalk-Josephs Wholesale Hardware. Every building between Fourth and Fifth Avenues East along lower Superior Street and from Fifth Avenue East to Eighth Avenue East on Superior Street’s upper side also came down. This included Branch’s Hall and a number of buildings that were part of “Automobile Row,” a collection of car dealerships, repair shops, auto parts stores, and filling stations along Superior Street from roughly Second to Eighth Avenues East. Thirteen houses and several buildings were also lost along the lower side of South Street between Tenth and Twenty-Sixth Avenues East. On London Road, the Lemon Drop Restaurant, Flamette Motel, a gas station, and a liquor store were razed. 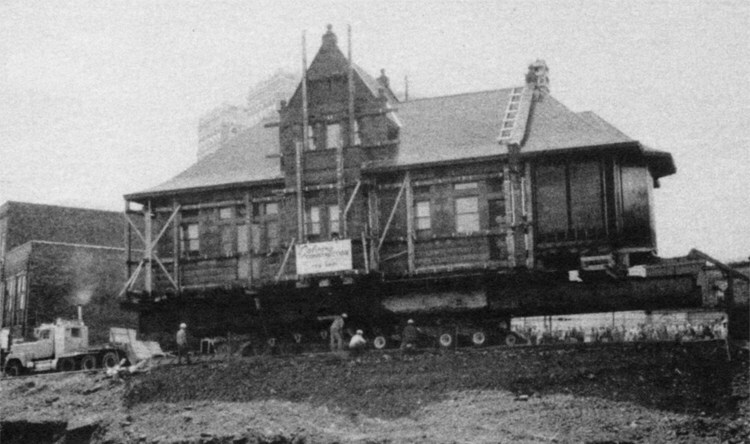 The 1899 DM&IR Endion Passenger Depot, which sat at Fifteenth Avenue East and South Street, was saved. It was moved to its present location below Lake Place Park in the Canal Park Business District. Read about the western expansion of I-35 here.